Obituary for Richard Vance Godwin (Snake) | Sullivan's Highland Funeral Service & Crematory, Inc.
Richard Vance Godwin (Snake), 76, of Saint Pauls, passed away on Tuesday, March 19, 2019, at Hospice Home in Lumberton, NC. He was born in Fayetteville, NC on November 17, 1942, to the late Willie (Tinecy) and Mary Godwin. He was preceded in death by his sister, Brenda Kay Lewis and his son, Richard Vance Godwin Jr.
Richard loved nothing more than spending time with his family and being on the water catching sheepshead at the beach. 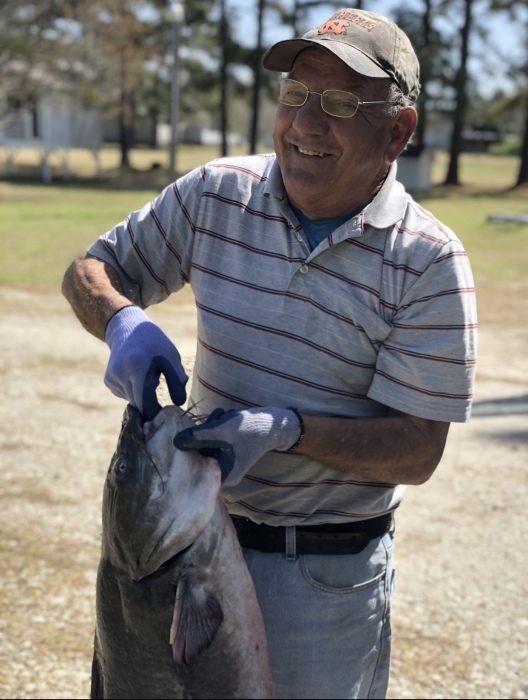 Richard never met a stranger and was quick to strike up a conversation which usually pertained to fishing and we are sure that all of those stories were true. Left to cherish the memory of Richard, is his wife Linda Crenshaw Godwin of Saint Pauls; brother, Willie Rudolph Godwin Jr. (Porky) and wife Louise Godwin of Hope Mills; sister, Cherrie Faircloth (Poodle) and husband Houston Faircloth (Doodle) of Fayetteville; children, Sandra Johnson and husband Timothy Johnson of Eastover, Brian Walker and wife Keisha Walker of Parkton, Patrick Godwin of Saint Pauls, Benny Godwin and wife Angela Godwin of Hope Mills; grandchildren, Sierra Hoefler and husband Eric Hoefler, Timothy Johnson Jr. and wife Lynn Johnson, Hannah Godwin, Madison Walker; and one great-grandson Kayden Hoefler. The funeral service will be held at 1 pm Monday, March 25, 2019, at Sullivan’s Highland Funeral Service.